With mild weather year-round, and a close proximity to world-class attractions, Anaheim is the ideal location for your Southern California adventure. Whether you spend all your time at the Disney theme parks or Anaheim Convention Center, or venture out to the numerous nearby attractions, Suite Escapes is the perfect home base for the vacation of your dreams. 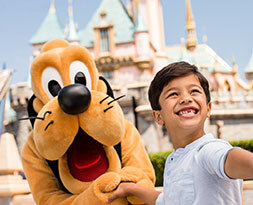 A Southern California vacation is not complete without a visit to the “Happiest Place on Earth.” The vision and magic of Walt Disney spans the globe and Anaheim’s Disneyland is where it all began. It is a magical kingdom filled with wonder and imagination, where kids can be kids and adults can be transformed back in time. Since opening in 1955, Disneyland has grown to 8 themed lands with enough magic and excitement to enjoy for days. Whether one takes a ride through space, flies with Dumbo, sails through the “small world,” or meets fairy-tale princesses, each day at Disneyland is nothing short of magical! And to top it all off, the front gates of Disneyland are only a short walk from each Suite Escapes rental. Sherwood Village (the association in which all Suite Escapes rentals are located) shares a wall with the Anaheim Convention Center and is conveniently located only a 5-minute walk away. 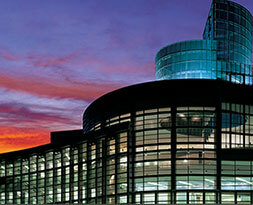 The Anaheim Convention Center hosts countless tradeshow’s and conventions every year, bringing people to Anaheim from all over the country and world. Whether you are coming to attend a trade show, a dance competition, or some other event, you will not find a closer accommodation that is more comfortable and convenient than Suite Escapes. Newly renovated in the late 90’s, Angel’s stadium houses the 2002 World SeriesChampions, the Angels of Anaheim. The stadium is only a pitch away from Sherwood Village and hosts home games every year from April through September. Click the link for schedules and ticket information. Save yourself the hassle of parking and take a cab or an Uber. Because we’re so close, this is both easy and affordable. 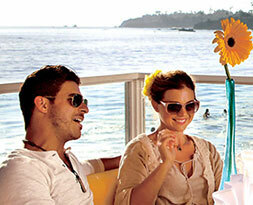 Nestled seaside with a coastline of rugged cliffs and secluded beaches, Laguna Beach is a premier coastal destination. Home to the famous Sawdust Art Festival, Festival of the Arts, and Pageant of the Masters, it is a true artists community. Whether it’s a day at the beach or a stroll through the town, it is worth a visit just to drive along on the coast on Highway 1 to see the magnificent sights and beauty of Southern California. If you’re lucky enough to find tickets, the Pageant of the Masters is an incredible and one of kind performance of live art; shows run nightly from late June through August. A short jaunt down the freeway will get you there in no time from your Suite Escapes vacation rental. 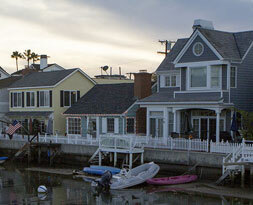 It has been said that Balboa Island is one of the loveliest places in Southern California. The small island has the most darling homes and atmosphere. Stroll through the boutique shops on Marine Ave; stop at Dad’s Doughnuts for an original Balboa Bar, Frozen Banana or Hippo cookie (our personal favorite); walk the perimeter of the island to check out the beautiful homes; or drive your car across the bay to the Newport peninsula on the Balboa Island Ferry. Nearby attractions include shopping at Fashion Island, the beaches on the Newport Peninsula and in Corona del Mar, and the numerous water activities in the Newport Harbor including stand up paddle boards, kayaks and cruises through the harbor. It is the perfect spot to spend a day. With Suite Escapes as your home base, this must see destination is easily reached. Of the 6 beautiful beaches in Orange County, Huntington and Newport are two of our favorites and, depending on traffic, they are both only a 20-minute drive from our Suite Escapes. Huntington Beach, aka Surf City USA, has miles of open beaches and a Main Street filled with shops and restaurants. For a local breakfast favorite, try the Sugar Shack on Main Street! Huntington Beach has a laid back feel and is the perfect spot for a surf lesson or for spending the day on the sand and in the water. Newport Beach is also filled with miles of sandy beaches and tons of other activities to keep you busy, from bike rentals along the boardwalk to all of the aquatic activities in the Newport Harbor, including kayaking, paddle boarding, boat rentals and harbor cruises. For an inexpensive and casual breakfast or lunch on the sand, the Stuft Surfer Café on 15th street is a must. It is the perfect spot to take the kids and, best of all, you can go barefoot! 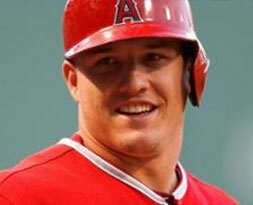 Long Beach is only a 30-40 minute drive from the Suite Escapes vacation rentals. 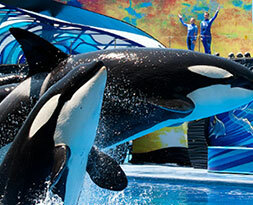 The Aquarium of the Pacific (located at the Long Beach Harbor) is the perfect spot to take the kids. 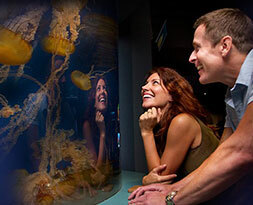 It is filled with numerous exhibits from penguins to sea otters, and you can even touch live jellyfish, sharks and rays! Check out the website for exhibits, hours and prices. Long Beach is also home to the famous Queen Mary that hosts all sorts of Exhibits, tours and attractions throughout the year. Home to Sea World, the world famous San Diego Zoo, San Diego Zoo Safari Park, Lego Land, Mission Bay, La Jolla Cove, and the USS Midway; San Diego is a day trip that is definitely worth taking! Only 90 minutes from Anaheim, it is a beautiful and easy drive and it makes for an action packed day of fun. Only 30 miles North of Anaheim is the expansive LA area. From Universal Studios and Universal City Walk, to Hollywood, Santa Monica, Venice Beach, Downtown LA and Staples Center, LA offers something for everyone. If you’re star struck and want a behind the scenes tour and the chance to see a “star”, check out TMZ’s new Hollywood tour at http://www.tmz.com/tour or grab an old fashioned “star map” for a DIY approach. 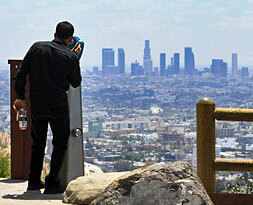 All that LA has to offer is easily accessed thanks to the centralized location of our Suite Escapes.